Instead of fighting a destructive economic system, international conservation NGOs are bonding with its brutality. Conservationists like me want a world where wildlife has space, where wild places exist, and where we can connect with the wild things. Yet time after time, like captives suffering from Stockholm syndrome, wildlife conservation NGOs placate, please and emulate the very forces that are destroying the things they want to protect. Despite our collective, decades-long, worldwide commitment to protect wildlife, few indicators are positive. The Red List that’s issued by the International Union for the Conservation of Nature now includes 22,784 species that are threatened with extinction. Habitat loss is the main problem for 85 per cent of species on the list. The number of African rhinos killed by poachers, for example, has increased for the sixth year in a row. 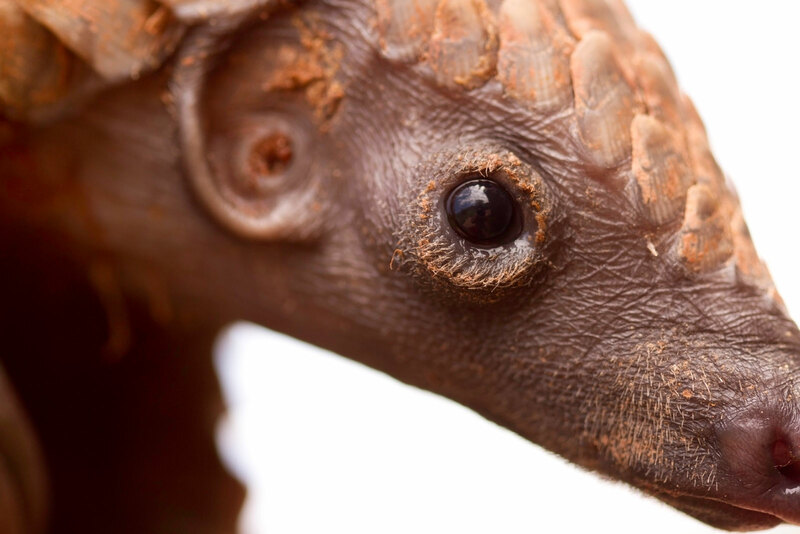 Pangolins are now the most heavily poached and trafficked mammals on the planet. One third of the world’s freshwater fish are at risk from new hydropower dams. Two hundred amphibians have already gone and polar bears are probably doomed. Human beings are simply taking too much from the world for its rich diversity to survive. None of this is news to people in the conservation movement. The reality of devastation has been apparent for many years, which should prompt some soul-searching about why we are failing. The main reason is that we are allowing the market to dictate conservation while ignoring the very people we should empower. Communities everywhere know their non-human kin—the animals that live among them. We know the seasons we share, and what grows when and where. We know the ebb and flow of life in our shared places. For some, those vistas are forests. Others look out to the sea, and some on endless frozen horizons. These are not empty places. They are filled with wildlife with which human beings commune. But if wildlife are local, the impacts of human activity on them are unquestionably global, and they require global management. Industrialized fishing, mining, forestry and mono-agriculture raze whole areas and replace diversity with a single focus. The illegal international trade in exotic species provides a path for the unethical to hunt, kill, package and commodify animals and plants. The market’s quest for resources and power floods, burns and devastates whole landscapes. For the last two decades, the conservation movement of the global North has believed that little can be done to counterbalance the might of this vast economic system, so the reaction has been to bond with it and accept its brutality—to please it and copy its characteristics. In the process, organizations in this movement have developed the classic symptoms of psychological capture and dependence through which victims develop a bond with, and sympathy for, their captors. I’m being deliberately provocative here by evoking Stockholm syndrome because it clarifies the crucial point I want to make: I believe that the conservation movement’s unhealthy relationship with the global economic system exacerbates harm to both people and wildlife. NGOs in Europe and North America raise money from philanthropists, corporations and other donors to arrange or establish protected areas that extend over large, pristine and fragile lands in Latin America, Asia and Africa. The public in the global North flock to their ambition, hoping it will lock precious places away from harm and raising even more money in the process. But this support turns a blind eye to the inconvenient fact that these areas exclude local communities—people who have lived for millennia beside flamingos and tigers, orangutans and turtles and who are just as wronged by big business and globalization as are wildlife. These agencies also court the market by selling ‘adoption products’ and ‘travel experiences’ to these protected areas. They smooth out the ripples from their messages so that their supporters’ sensibilities are not offended. They deflect attention away from harmful corporations. They expand their marketing departments and shut down their conservation teams. They adopt the posture and attributes of the very things—capitalism, consumerism and the market—that destroy what they seek to protect. Hence, their capture-bond is informing how they see the world. In their efforts to please and emulate the market they fail to look for the broader, systemic causes of elephant poaching or killing sharks for their fins. They trade stands of forests for agreements with corporations and international agencies not to campaign against dams that will flood whole valleys. They defend sport hunting by wealthy western tourists as legitimate ‘conservation’. For example, the Gonds and the Baigas—tribal peoples in India—have been evicted from their ancestral homelands to make way for tiger conservation. Tourist vehicles now drive through their lands searching for tigers, and new hotels have been built in the same zones from which they were evicted. Or take Indonesia, where massive illegal deforestation has burned and destroyed huge areas of precious rainforest. Even though a court order and a national commission have compelled the government to hand ownership of the forests back to the people who live there, the corporate sector is resisting. At times they hide behind their NGO partners through the Roundtable on Sustainable Palm Oil, a global, multi-stakeholder initiative that includes many conservation NGOs as members. 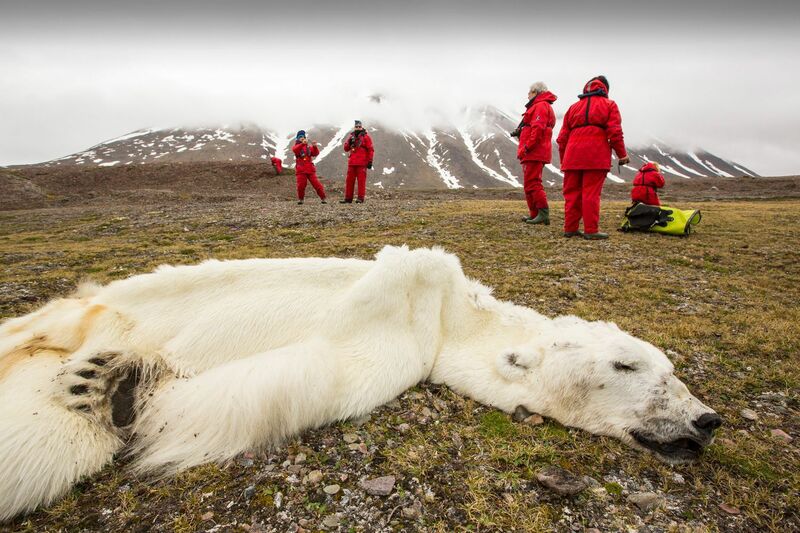 International NGOs have scuppered efforts to control polar bear trophy hunting in the Arctic while they benefit from lucrative corporate partnerships for other areas of polar bear conservation. A major project run by Conservation International in the Ankeniheny-Zahamena Corridor of Madagascar has restricted villagers’ use of their traditional forests for food harvesting in order to reduce greenhouse gas emissions, yet Chevron, ExxonMobil, Shell and NRG Energy are all members of the organisation’s Business & Sustainability Council. 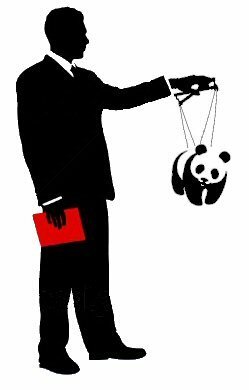 Even worse is the Worldwide Fund for Nature (WWF), which stands accused of breaches of OECD Guidelines on the Conduct of Multinational Enterprises and of the UN Declaration on Human Rights. The complaint in question alleges that WWF has financed and supported ecoguards that have brutally displaced the Baka tribespeople who have traditionally lived in the area now declared as a national park in Cameroon, while turning a blind eye to the destruction of the Baka’s way of life through logging, mining and the trafficking of wildlife. Writing on openDemocracy, Gordon Bennett argues that NGOs might avoid toxic situations like this if they undertook proper investigations before committing to new parks and protected areas. I agree, but I also believe that WWF should have supported the Baka people to propose their own solutions to conserving their forests instead of assuming that a park and ecoguards were the answer. These depressing examples are being replicated around the world. The situation will only get worse as human populations increase. Local communities and wildlife are bound to lose out. The world is changing, however, and local civil society is on the rise. International conservation NGOs therefore need to think long and hard about their relevance as local groups grow stronger. As more communities gain access to international politics, they will be trampled on less easily by agendas from afar. The challenge is to ensure that they become empowered to look after their own land and the wildlife around them. If the conservation movement is brave enough to transform the ways in which it works, it can support this process of empowerment and the radical changes that come with it. It can connect with local civil society groups as a partner and not as a decision maker. It can devolve its grip on how conservation is conceived and respond to community ideas and wisdom about protecting the wildlife with which they live. In this task the conservation movement has a lot to offer. International NGOs are skilled and experienced, and they have access to international processes of negotiation and decision making. If they free themselves from corporate pressures and transform themselves into supporters of local civil society, together everyone is stronger. NGOs can help to project the unpasteurised voices of local communities into the halls of the United Nations. To do any of these things, however, they must remember who they were before they were captured. It’s time to break free from Stockholm syndrome. Between 2001 and 2011, as many as 192 cases were registered against tribal communities living in and around Nagarahole National Park. But their “offences”, which include trespassing forest land, collecting honey and growing ginger in the forest, are, in fact, their rights enshrined in the Forest Rights Act. A report by a High Court-appointed committee on the status of tribal communities in and around Nagarahole, submitted recently to the Karnataka government, speaks of the “absurdity” of cases booked against tribal people for “trespassing” forests, which they have been living inside for generations. Booking a large number of cases against tribal people is part of a historical culture of “violence” against the communities, which “takes on different forms,” says the report by the committee, chaired by political studies professor at the University of Mysore Muzaffar Assadi. In the 1970s, it took the form of multiple displacements for tribal families and also the destruction of their homes, crops and settlements “so as to erase their historical presence in the forest region”. Prosecuting tribal communities for living in and using forests is a violation of the Forest Rights Act that gives them rights over land and forest resources, says Nitin Rai of Ashoka Trust for Research in Ecology and the Environment. “The Act was enacted to rectify the immense historical injustices reaped on Adivasis and forest-dwellers. Draconian conservation laws have criminalised everyday life of Adivasis, who have lived in these forests for centuries.” But ironically, these very laws are constantly bent for industrial and infrastructural projects, he said. All pending cases against tribal people booked on “flimsy ground” should be withdrawn to help build trust between them and the political apparatus, says the report. An advocates’ collective should be appointed to fight cases of tribal people in different courts, it adds. Cases booked also pertained to setting fire to the forest, to poaching wildlife and birds, and felling trees. The name Nagarahole is derived from the winding river which flows through the Park (In Kannada the word ‘Naga’ means snake and ‘Hole’ means stream). Nagarahole National Park is located in the foothills of the misty blue Brahmagiri mountain range and straddles the picturesque districts of Kodagu (Coorg) and Mysore. Initially constituted as a Sanctuary in 1955, it was subsequently enlarged and conferred the status of a National Park in 1974. The Southern end is drained by the Kabini river (a tributary of the Cauvery) which has now been dammed to create a large reservoir, much of which lies within the park and which today separates Nagarahole National Park from Bandipur Tiger Reserve. Hunter-gatherer tribes have inhabited these forests for several centuries. Of the 1500 or so people that live within the park and an approximate 5 to 6 thousand on the fringes, most are tribals called Jenu Kuruba, Betta Kuruba and Yerava. These tribals later took to slash and burn farming and collecting non-timber forest products for sale to urban markets. Today, many of these people work as labourers in coffee plantations or farms and also engage in seasonal work provided by the Forest Department. Between 1870 and 1980, 14% of the area of the present Park was clear-cut to raise monocultures of teak. Dense secondary forests now occur in places where these plantations failed. Until recently, both the moist and dry deciduous forests have been selectively logged. The long term management goal of the British was to replace natural forests with the more profitable teak and they actively pursued this until Independence. Between 1947 and 1955, the new Indian Government’s policy turned to harvesting as much of timber as possible, and to grow more food. Tribal and non-tribal people were encouraged to occupy Nagarahole’s ‘hadlus’, they were encouraged to cultivate rice and in addition provided cheap logging labour. There were no wildlife protection laws and hunting of predators was actively encouraged. In 1955, hunting of large mammals became illegal, but logging and encroachments into the Park continued. It was only in 1974, when Nagarahole was declared a National Park and tough new wildlife protections laws came into force that the situation started to change. In a complete reversal of roles, the management now tried to curb poaching, livestock grazing and removal of illegal encroachments! Between 1970 and 1980 about a 1000 squatters were moved out of the Park into resettlements. Forest product exploitation was regulated in response to lobbying by wildlife conservationists and a core zone of 200sq. km. was demarcated to the exclusion of forestry activities and tourism.